I haven’t been posting much lately. Not that I haven’t been writing a lot, but it’s all been papers, reviews, more papers, quarterly reports, monthly reports, bi-monthly reports and so forth. I’ve still got a couple of papers to finish, not to mention homework for an on-line course I’m taking, and of course, that wonderful April ritual of taxes. Then there are a paper and a presentation for the SAAs in Memphis. The most fun things to write are letters of recommendation for students who have worked on the Nuvuk Project. It is really great to see kids graduating and moving on to college, although we do miss them when they move on. I’ve been working on ways to continue the archaeology program after the Nuvuk grants are done. The sun is up for about 15 hours a day now, and will be up full-time in just over a month. This is a pretty time of year, and I’ve gotten some nice pictures. 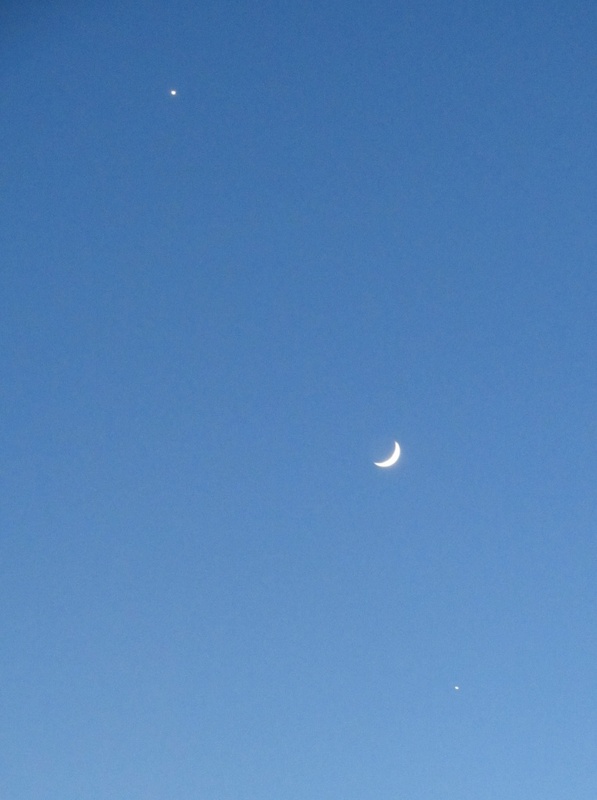 Here’s one of the conjunction of Venus, the moon and Jupiter. 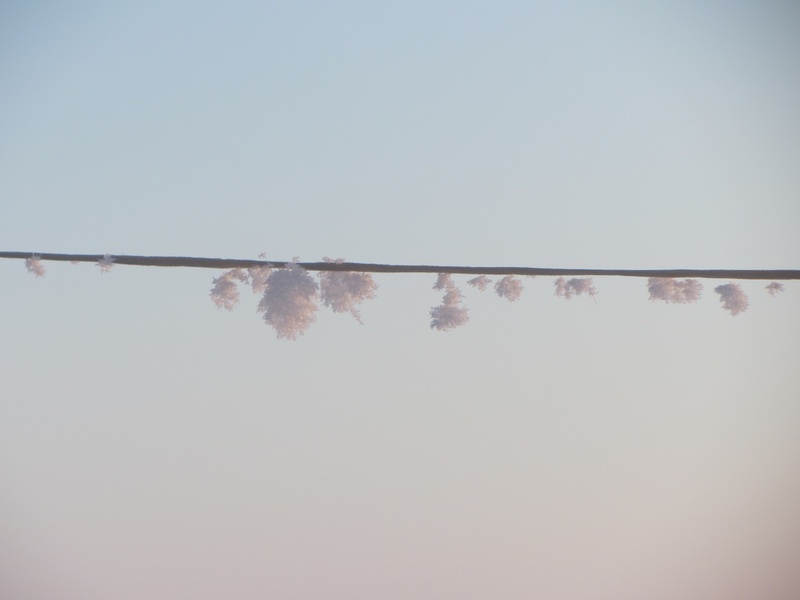 A couple of days ago, I looked out the window, and noticed frost flowers hanging on the clothesline, swaying in the breeze! I’ve never seen anything like it. 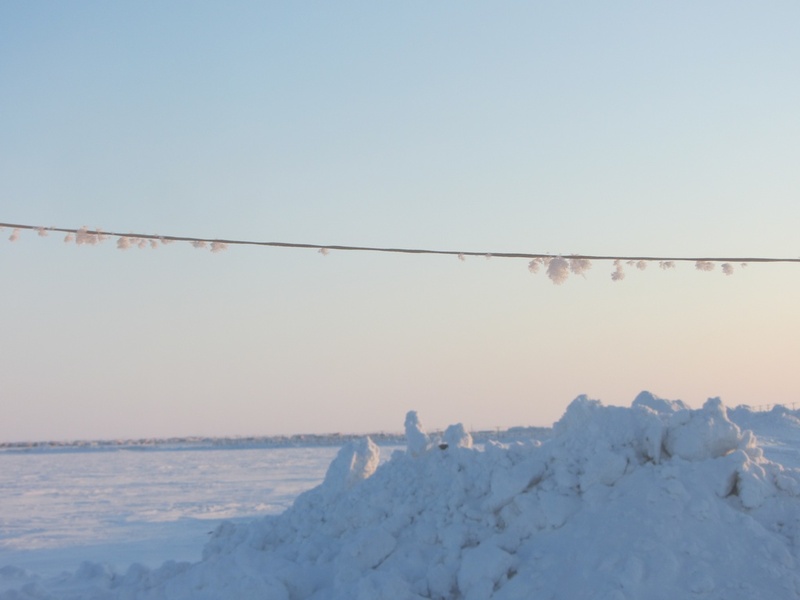 Posted on April 5, 2012 by Anne JensenPosted in Arctic, Barrow, environmentTagged Arctic, Barrow, crew. Wow, beautiful. I especially like the Moon, Venus and Jupiter shot!